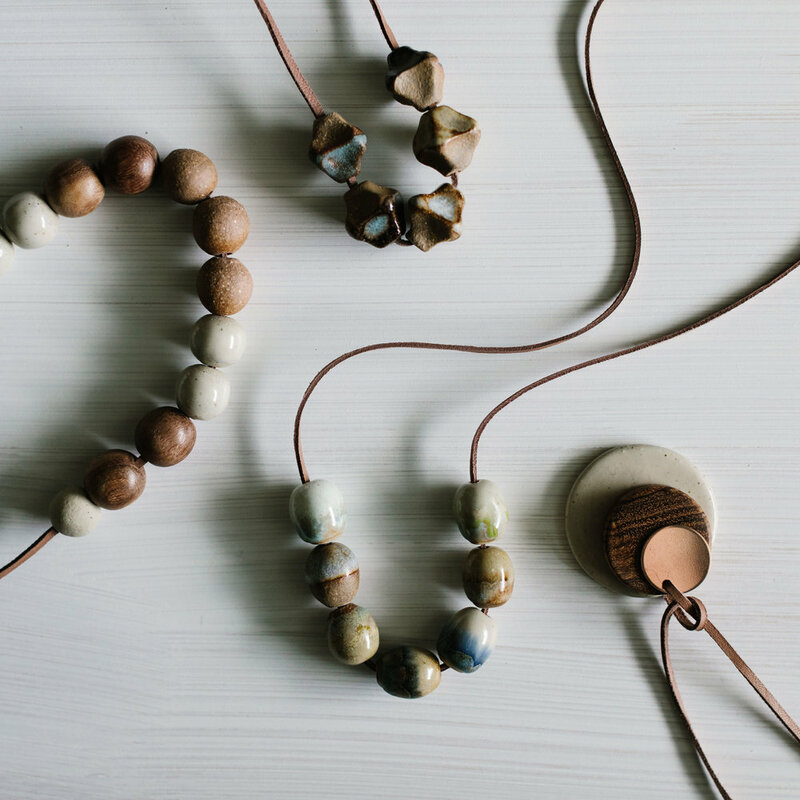 I am an Australian designer living in Sydney and the founder of Woodfolk, a sustainable and ethical jewellery, homewares and accessories brand that works in collaboration with artisans in Nepal to hand make its pieces from sustainable materials such as ceramic and Nepalese hardwood. I always knew I wanted to do something artistic, as I enjoyed it and it came naturally. I knew I wanted to be a jeweller when I spent two years travelling around the world and started making jewellery along the way with whatever materials I could find eg seeds, shells and banana leaf thread. Woodfolk believes in honesty, compassion and being kind to our environment. 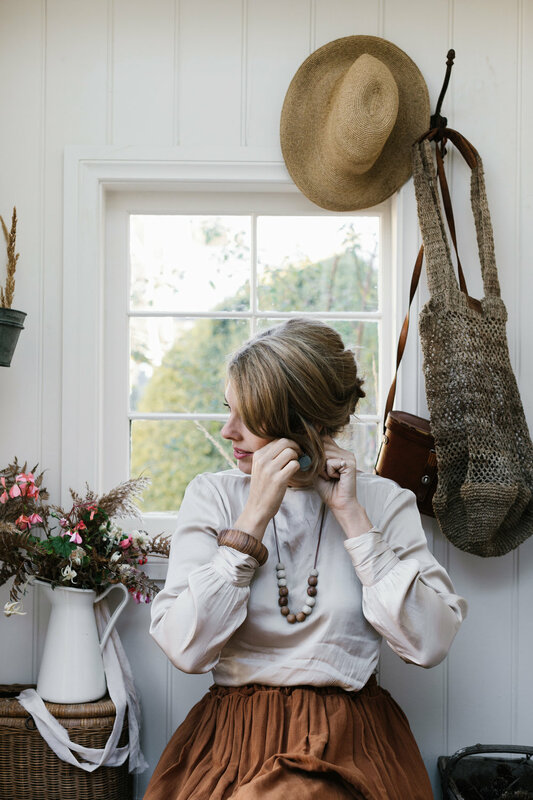 We work in harmony with both natural materials and communities in need to create beautiful pieces for everyday wear, and that bring warmth and creativity into our homes. Our purpose is the create a viable business that remains authentic to its ethos. We’re committed to working and collaborating with small family-run businesses and well as women-focused organisations, creating opportunity, self-determination, support and hope in these communities through social entrepreneurship. By supporting with trade, not aid, the positive impact is sustainable. I am a designer and jeweller by trade and have 10+ years experience creating Fine Jewellery for prominent Jewellery houses around Australia and for private clients. I loved working with metal, diamonds and gemstones but at some point, started to feel drawn to more natural materials for example wood and ceramics. Combining this new found appreciated of these materials with my love of all things natural and ethical, I launched Woodfolk in August 2013. Woodfolk has given me the opportunity to express my creativity and apply my trade in a more authentic way, with inspiration coming from nature, my travels in third world countries and collaborations with the artisans I work with and their cultures. I’m proud to say that Woodfolk is now stocked in more than 70 stores around Australia, and over the last 5 years has developed a strong and loyal following. It’s Woodfolk’s depth and story that separates us from everything else out there. Not only are our pieces beautiful, handmade, quality, unique and made from sustainable materials, by purchasing a Woodfolk product our customers are also directly contributing to a better life for our artisans and their communities in Nepal. Like the fashion industry, jewellery has its own issues regarding the supply chain in terms of transparency around where it’s manufactured. Often, these products are made in China or neighbouring countries where cheap labour can be exploited and unfortunately, there hasn’t been much insight or transparency come through about the conditions of these factories. I see transparency as being just as important as the design and the designer. From start to finish, one item might touch the hands and use the skills of 20 people so every customer has a right to know where their items are truly coming from. It’s my personal belief that people are inherently good and caring and that few would want to think that their purchases have been made in a sweatshop under terrible conditions. For too long, consumers have been kept in the dark about the supply chain. Transparency lifts the veil on a brands’ practices and allows consumers to factor in their behaviour as a global citizen into the purchasing decision. As an ethical business, I hope to inspire other brands and business owners by providing a working model of what a fair trade and ethical business can look like. We demonstrate that working directly, personally and respectfully with our artisans and their families, using only natural materials that nature has provided us with, can be both fulfilling and profitable. Consumers should be asking brands where their products are manufactured and global movements such as Fashion Revolution are a true driving force behind consumer awareness around supply chain transparency. Oh this is a hard one. I’m so happy with all the pieces from my new collection ‘Earth’. If I had to choose, it would be our Eucalyptus and Midnight Blue Mountain Vases. 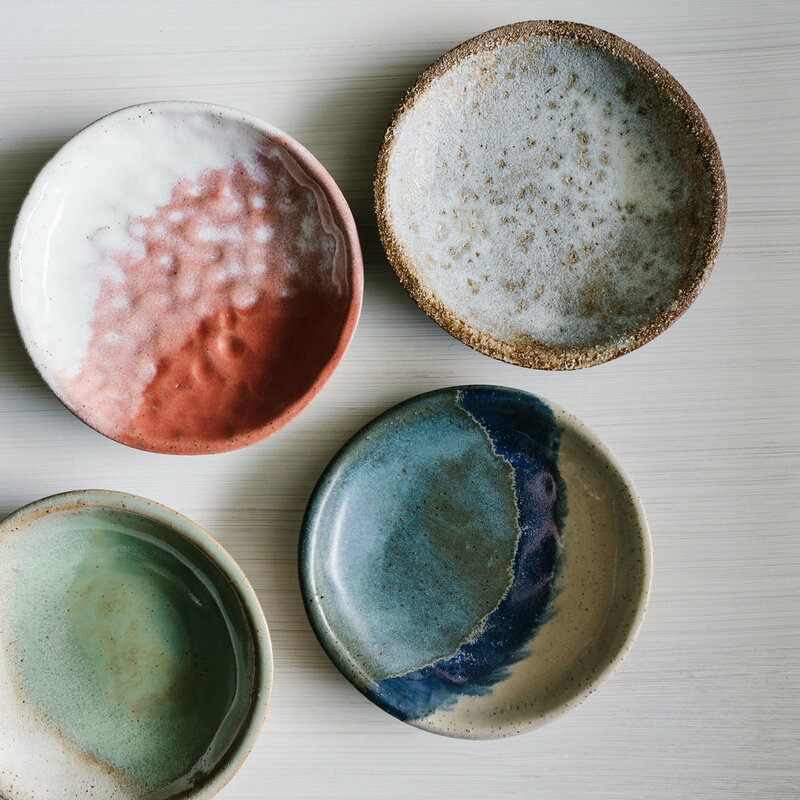 The glazes are rich blended greens, whites and blues that fall beautifully over the thick gritty brown clay that I’ve used. They’re really solid too, almost like a paperweight.